â€œThe theme of this election is our land and jobs now. We cannot postpone the land question. We cannot postpone the jobs question. It must happen now,â€ Economic Freedom Fighters (EFF) leader Julius Malema said. Malema was speaking at the EFF manifesto launch in Soshanguve, Tshwane on February 2.
â€œWe are going to build factories where the people are,â€ Malema said. He said the party wants to reopen the factories that were open during apartheid to employ the people of the country. Aside from the factories, the plan for job creation includes job creation by state-led industrialisation, declaring economic zones to incentivise investors to employ locals, domestic goods production, local beneficiation of mineral resources, and supporting small-scale farming to name a few. Malema also denounced President Cyril Ramaphosaâ€™s minimum wage of R3 500. Instead he said the party is committed to increasing the minimum wages across the board with the minimum wage of R5000. Proving that the EFF is the original land party, there is also a distinct emphasis on the land. â€œThe land is coming to our people,â€ Malema said. He said the EFF is committed to ensuring that the amendment of Section 25 of the 1996 Constitution to allow expropriation of land without compensation for equal redistribution is followed through. The party reiterates its original position on land in the manifesto which is for the state to seize all the land and redistribute it accordingly. This redistribution will be redistributed in a way that is â€œdemographically representativeâ€, with 50% preference given to women and the youth. 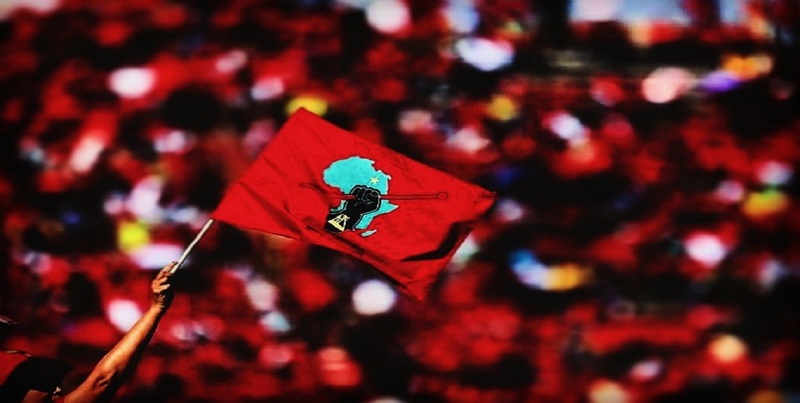 The partyâ€™s manifesto is based on its seven cardinal pillars â€” which include land redistribution without compensation and the nationalisation of banks, mines, and other key institutions. In it, the EFF details its policy on 28 different areas from the economy to international relations and infrastructure development. This is the second national election that the party is competing in, in 2014 the party won 6% of the vote. The national election is expected to take place in May.